DATES AND TIMES: 6:00 p.m., Friday, February 15, 2019, and 8:30 a.m., Saturday, February 16, 2019. PLACES: The Friday night event, beginning at 6:00 p.m., will be held at the Second Street Bistro, 122 N 2nd Street, Fort Pierce, FL 34950-4403. Saturday’s meetings will be held at the Hilton Garden Inn,8540 Commerce Centre Dr, Port St, Lucie, 34986-3132. PURPOSES: On Friday evening, February 15, 2019 at 6:00 p.m., the District will be hosting a Community Outreach Event to provide an opportunity for the District’s Commissioners and staff to meet and discuss waterway-related issues with local public officials, community leaders and the public. The event is free and open to all members of the public. On Saturday morning, February 16, 2019 at 8:30 a.m., a public meeting of the District's Board of Commissioners will be held to conduct the regular business of the District. The District’s Personnel Committee and Finance and Budget Committee may also meet. 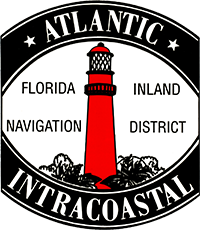 Meeting agendas are available on the District’s website at aicw.org or by contacting the District office at 1314 Marcinski Road, Jupiter, FL 33477, telephone (561) 627-3386 for more information. If a person decides to appeal any decision made by the Commission with respect to any matter considered at this meeting, they will need a record of the proceeding, and for such purposes, they may need to ensure that a verbatim record of the proceeding is made, which record includes the testimony and evidence upon which the appeal is based. Any person requiring a special accommodation at this meeting because of a disability or physical impairment should contact the District a minimum of three (3) days prior to the meeting. Board and committee meetings may be conducted utilizing communications media technology (CMT); specifically, one or more members may attend and participate by speakerphone. Interested persons may attend at the previously described location, which is the CMT access point.